Posted 1/1/2009 6:30pm by Catskill Merino. 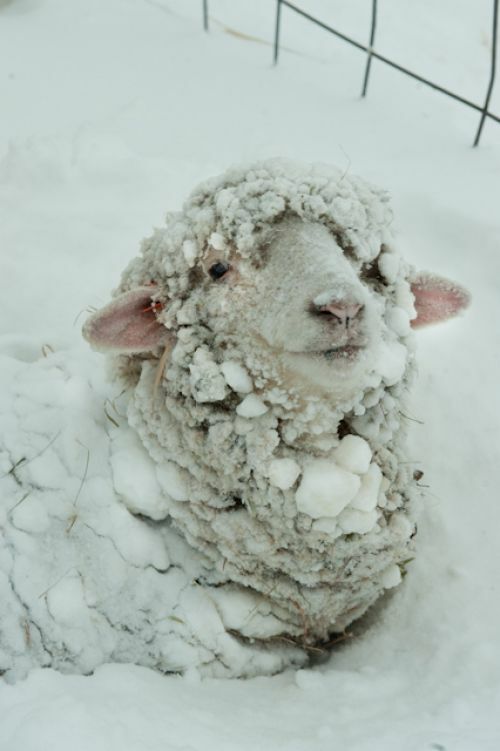 Sheep don't get cold in these New York winters if they have adequate nutrition. 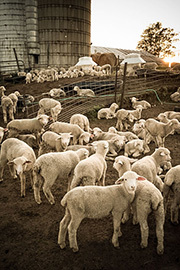 And the flock eats well in Goshen: farm harvested round bales of hay, whole oats with a little cracked corn for energy and plenty of fresh water, but some sheep prefer fresh snow to drinking from the water tub; they nibble it, then raise their heads and nod.